Live In Care, 24 Hour Care, Overnight Care or just a few hours of quality in home care services… can enable you to live safely, comfortably and joyfully in your home, for life. 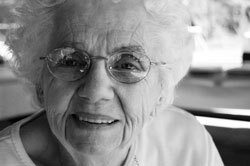 In home elder care that is truly heartfelt and extremely professional is what Daughterly Care has provided for 21 years. Our Live In Care, 24 Hour Care, Overnight Care or just a few hours of quality in home care services provided by Private Nurses, Exceptional Caregivers and Live in Carers can enable you to live safely, comfortably and joyfully in your own home, for life. The best in home private care and Government Funded in home care for your loved one and peace of mind for you and your family. “Please pass on my thanks to all carers that Michael has had, particularly Carmel, Aleksandra and Fiona, the care has been wonderful and I would not hesitate to recommend your Company to anyone. Grateful thanks also to Verlie and Kate for their visits and explanations! If you are a private care client i.e. private paying self-funded client, you do not need an ACAT Assessment. Call today – (02) 9970 7333. 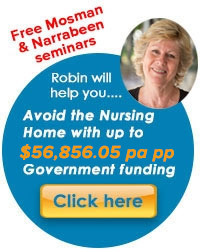 We will also help you apply for your Government Funding worth up to $55,315.75 pa pp so you don’t miss out. What does our private care cost? Are you paying for your in Home Care through a Government Funded Home Care Package? Daughterly Care Community Services is a NEW BREED of Approved Provider with 21 years of experience of providing quality in Home Care to Sydney’s private care clients. We can administer your Government Funded Home Care Package and are a proven provider of superior support services and care for older people who wish to remain at home for life. There are 14 reasons to choose Daughterly Care to provide your in Government Funded in Home Care Package. ✓ More hours of quality in home care provided by their Home Care Package; How many hours of in home care does your Home Care Package with Daughterly Care provide? ✓ Increased convenience of communicating with just one caring company. Many people think they have already have a Government Funded Home Care Package but they don’t yet – they are still on the waiting list. Learn how to tell if you are approved and on the waiting list or your funding is ready to start services (assigned). Learn how to apply for a Home Care Package, click here. I have written 15 pages on Consumer Directed Home Care Packages to empower Daughterly Care clients. Click through to our special web section written to inform and empower our clients, and you. For most of us, our family is our top priority. We want the best for our family and we want them to live their best life, all their life and to be happy. Increasingly, your help alone is not enough. You have become a housekeeper, cleaner, nurse, personal carer, cook, taxi service, errand runner and companion for your Loved One – yet you are so time poor. With the demands of your career, children or grandchildren, your partner and friends, plus trying to provide all the care for your parent… it’s difficult to maintain quality of life for all you love, let alone for yourself. As your parent or relative’s care needs increase, and especially if they are forgetful, it really helps to have a small consistent team of trained Caregivers to assist you. For over 21 years Daughterly Care has specialised in caring for Elders and people living with dementia, and chronic long term conditions such as Parkinson’s, MS and MND to name a few. We have the training, the experience and a heart-felt desire to provide the best private care and Government Funded in home care possible, so you can rely on us. Our professional, expertly trained Private Nurses and Caregivers can visit your loved one on a regular basis to complement your care and provide respite services so you get the rest you need and make life easier for everyone. Your Loved One’s life will be comfortable and enjoyable in their own home while you can enjoy a quality break. After all ‘there is no place like home’. If you are the main person providing Elderly care (or dementia care), it is critical that you proactively look after yourself and care from your overflow! Daughterly Care is renowned for providing excellent in home respite care, so you can take the break you need. Your spouse is relying on you, so make sure you remain healthy both physically and mentally, by taking regular respite breaks. Every time we visit, it’s respite care for you which really improves your quality of life. You’ve always been in charge and you want to stay in charge of your own life. You don’t want to be beholden to your busy adult children, nor rely on them. Our in home private and Government Funded in home care services can enable or re-enable you, giving you back your independence. Live joyfully, for life, in your home, your way. Keep living your best life. We would be honoured to support you or your family as we have provided quality in home aged care for over 7,100 families. Live in Care (24 hour, around the clock care): we have provided over 2.8 million hours of Live In Care. 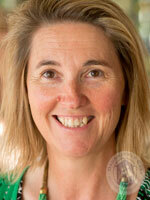 That makes us NSW’s most experienced and trusted provider of quality Live in Care. Don’t take our word… read what our clients say. FREE in home (or hospital or nursing home), no obligation consultation to discuss your personal needs and how we can assist. of our clients rate our services as Exceptional, Exceeds their Expectations or Meets their Expectations. It was 97% in 2016 and 98% in 2015. Our boutique Group Home for elder dementia care. 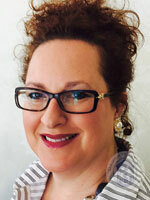 “Verlie, you really should put on your website that Daughterly Care provides excellent consistency of in home care. My Mother who has some anxiety due to short term memory difficulties would not have coped well with many different Carers. We have had an exceptional experience with Daughterly Care sending only a small number of Caregivers regularly instead of many different people at different hours. They have improved her health already”. 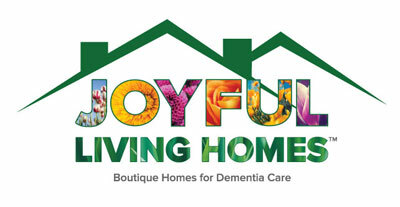 Our Joyful Living Approach™ is designed to assist our clients live a joyful life at any age.